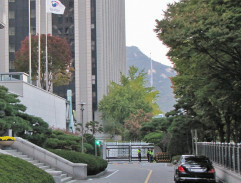 Sang-hyun leaves the ministry building, wheer Jae-Hee works. Jae-Hee plans a route for diplomatic visitors. 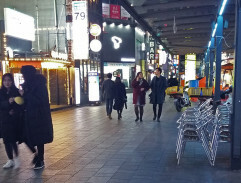 Sang-hyun accompanies her. Unfortunatelly, the piano is no longer in the street. 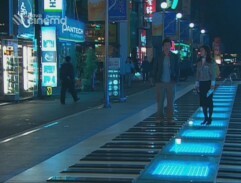 On the street is very useful roof, instead the piano. 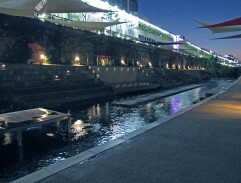 But.... the street is absolutely ordinary and unattractive, now.